Delphia Consulting provides Sage HR and Payroll solutions on-premises or in the cloud to small and midsize organizations throughout North America. 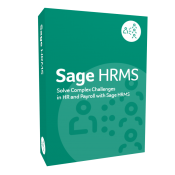 With more Sage certified consultants on staff than any other Sage HRMS Business Partner, we’ve helped over 500 satisfied clients since 1993 find the appropriate solution. Using our team’s unmatched expertise of the entire employee lifecycle—from hire to separation, technical depth, and broad industry experience, we invest the time necessary to fully understand your organization’s requirements, recommend options, and deliver your ideal solution. While working with our team, you have the confidence that our team will help your organization get the job done right, the first time. Our consulting team brings over 288 combined years of experience, and we have a highly experienced software development team for developing customized solutions to meet your specific business needs. We make selecting the right software less overwhelming. Many software packages claim they will solve all of your issues, but the devil is in the details. Following our 5 Ds process will ensure you have all of the information you need before you make a choice. Are the solutions we represent right for you? Honestly, we don’t know yet. But we are confident that if you engage us and follow our process, you’ll find the solution that exactly meets your needs based on your objective criteria. We hope it’s our solutions, but if it’s not, that’s OK too. A successful implementation begins with a tried and true methodology. Whether you’re implementing a new HRMS or adding a module or a complementary product, a successful project begins with a sound implementation methodology. Delphia Consulting’s 5 Ds implementation methodology is based on industry accepted project management and quality assurance methodologies adapted for the specific product, technology set, and client requirements. Sometimes software doesn’t do everything you need it to do. As a Microsoft Certified Gold Partner with a competency as an Independent Software Vendor (ISV), we have the experience to develop any customization you may require. We know the products we represent well enough to be able to develop customizations that survive the product upgrade process with little to no additional work beyond normal upgrade test plans. We use the latest development tools available from Microsoft. Our Premium Support and Training provides easy access to our consultants and training without the hassle of a statement of work or being nickel- and-dimed with invoices. Now you have the freedom to get as much online training as you need and access to support from the most experienced consultants in the business for one flat annual amount. As a Microsoft Partner, Delphia Consulting demonstrate best-in-class capability in Application Development on Microsoft platforms. Microsoft Gold Certified Partners are Microsoft’s most highly accredited independent technical support providers and offer a comprehensive range of support for Microsoft and multi-vendor products. Companies can get certified as a partner through a rigorous process that ensures proper use of licensing and equipment. Becoming a partner also requires the use of Microsoft technology as the primary platform for the company. Staff members of Delphia Consulting hold the SHRM-CP and SHRM-SCP Certification designation. Delphia understands that the single most important asset in the software consulting business is people. Throughout 22 years of operations, Delphia has constantly sought to retain top professionals for the in-house team. Most of those who helped us launch the company are now part of senior management. Most of Delphia’s software engineers hold advanced degrees or training and possess over five years of industry experience. Delphia Consulting staff members hold the CPA designation. Certified Public Accountants demonstrate knowledge and competence by meeting high educational standards, passing the CPA exam and completing a specific amount of general accounting experience. SHRM has established the SHRM Preferred Provider Program to allow chapters, state councils, colleges, universities, education and/or training providers, and other organizations to award PDCs for their programming, without pre-approval by SHRM. This removes the guesswork over which activities meet recertification requirements. Delphia Consulting serves over 600 clients across the United States and Canada. 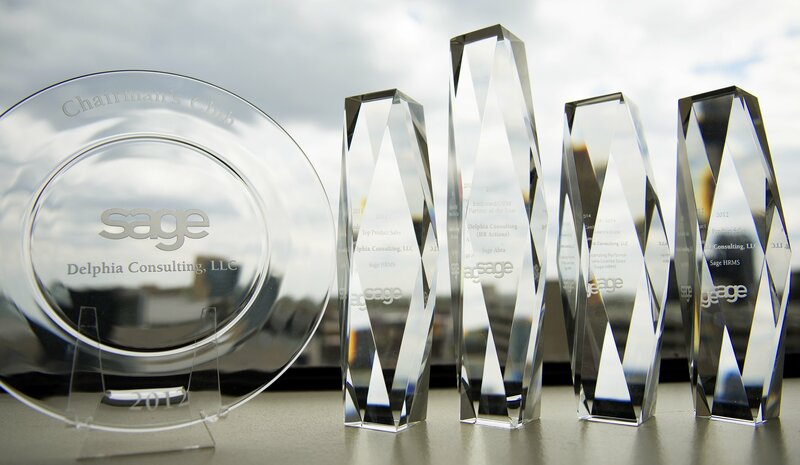 Delphia Consulting is recognized as one of the top Sage HRMS business partners in the country. 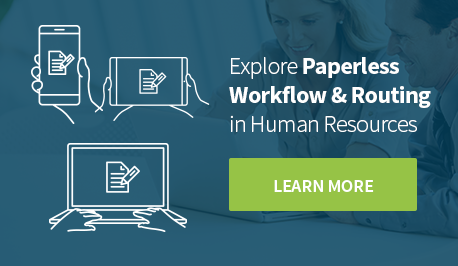 Delphia Consulting developed an innovative solution for making HR departments paperless. Web-based forms can be built with no programming skills and deployed through self-service for completion and approval routing, allowing for a more streamlined process to managing data within Sage HRMS. The Automated SQL Migration for Abra Suite (ASM) by Delphia Consulting simplifies and speeds up the process of moving data from Abra to Sage HRMS, eliminating the burdensome process of entering data into both the Abra Suite and Sage HRMS. 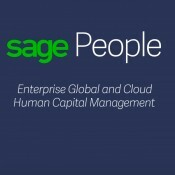 As an Endorsed Development Partner for Sage, Delphia Consulting has developed more than 40 add-on solutions for Sage HRMS.